Every Year Board of Secondary Education, Andhra Pradesh (BSEAP) conducts 10th (SSC) examination. Along with this, BSEAP also conducts Inter First year Exam. And The Board of Intermediate Education, Andhra Pradesh (BIEAP) conducts AP Board Inter examination every year. 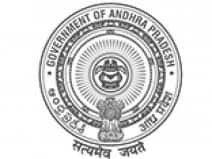 BSEAP and BIEAP will declare the AP SSC Result 2019 (10th) and AP Inter Inter result on time. Last Year BSEAP SSC pass percentage was 94.48%. Inter Ist year pass percent was 73.3. And Inter 2nd year pass percentage was 73.30. After the exams BSEAP and BIEAP will declare the result in the month of April. Students can check the results of the 10th, 12th Board Examination and vocational examination on www.livehindustan.com. Apart from this, the results can be checked on the official website of the Board.